The writing is on the wall. From top venture capital firms to industry leaders, the B2B SaaS space is universally accepting more customer-centric principles to proactively influence the lifetime value of the customer. In Gallup’s “Guide to Customer Centricity” for B2B leaders, the data suggests 71% of businesses were not engaged with their current vendors. Forrester’s top trends for CRMs in 2016 declares, “companies must provide differentiated, effective experiences for broad customer segments … they need to go further, delivering the right customer experience to the right customer at the right time in his or her customer journey.” This creates a billion dollar opportunity for the SaaS companies that are able to master customer-centric principles at scale. Becoming customer-centric is difficult at an early-stage startup. Limited manpower and diverse business objectives are often a recipe for trouble, especially when it comes to leveraging customer insights in any kind of scalable fashion. You can often gather feedback from a few customers and create simple support structures, but that is hardly enough to create effective customer success programs. The steps to becoming customer-centric will be very different company to company. 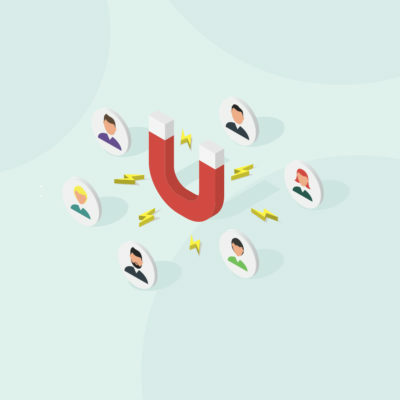 The emphasis you place on customer success foundations such as onboarding, adoption, and product engagement will depend heavily on your specific product and business model. Even so, there are three key missteps to avoid in order to ensure you focus on delivering real value along the entire customer journey. Are you a startup that wants to become customer-centric? Email me at kevin@totango.com to receive a HUGE discount to Customer Success Summit, the must-attend event for recurring revenue businesses. As a business function, managing the customer journey is relatively new. When startups are ready to hire their first non-technical talent, it might not always be the first option over administrative support or growth-oriented sales. At Customer Success Summit 2015, Ari Klein, Head of Customer Success at DocSend, spoke about the need to make your first non-technical hire a customer success athletic generalist. Essentially, Klein argues that your first non-technical hire should learn, listen, and “see the forest for the trees,” fostering customer focus and building an organization around what your customers actually need. This attention to customer details, he argues, can pay significant dividends as learning and pivoting to align with customer needs creates the best chance a startup can grow and reach product market fit. More people means more miscommunication. Ryan Engley, VP of Customer Experience, spoke to this experience at Customer Success Summit 2015, where he argued that playing telephone with customer insights inevitably ends with a product built for the wrong solution. Startups have a unique opportunity to use their small company size to build customer communication pipelines the right way. Are you a CEO building your next product features? Speak to customers. A sales manager getting your strategy in place? Learn from existing customers. A designer creating the user experience for the front-end of your web app? Get customer feedback. No matter what you do for the company, getting real, direct engagement with the customer means no miscommunication. A founding team that is plugged into the customers’ needs will scale an organization that always collects the right customer information to solve a problem. Speaking of collecting customer information, what happens once you collect all these data points? Gather feedback, engagement, and customer data to segment information against business objectives. Do not collect data you will not use. Companies like Totango help startups track customer activity the way a fitbit works for health. Leverage these tools to find out what makes customers successful and create business objectives to scale the success. Any startup with robust segmentation using customer data will achieve significant ROI on the project. You can infuse learnings across the company, focus high-touch practices for the right businesses, and ultimately give the impression of being a much larger company. If you’re a small startup looking to build a customer centric business from the start, I highly recommend attending Customer Success Summit 2016. This must-attend event is great for startup founders to hear from over 80 customer success experts at companies like New Relic, Eventbrite, and Mixpanel. We have a great special for startups, so email me at kevin@totango.com to hear more. Totango monitors customer behavior and usage in cloud applications—along with critical relationship data from CRM, billing, and other systems—to generate insights on customer health and engagement. The solution combines big data analytics with powerful segmentation and predictive tools to help companies take a data-driven approach to driving customer success and reducing churn. If any one want to know more details about Totango, I can suggested him to visit this website.This is a helpful website I have ever seen.